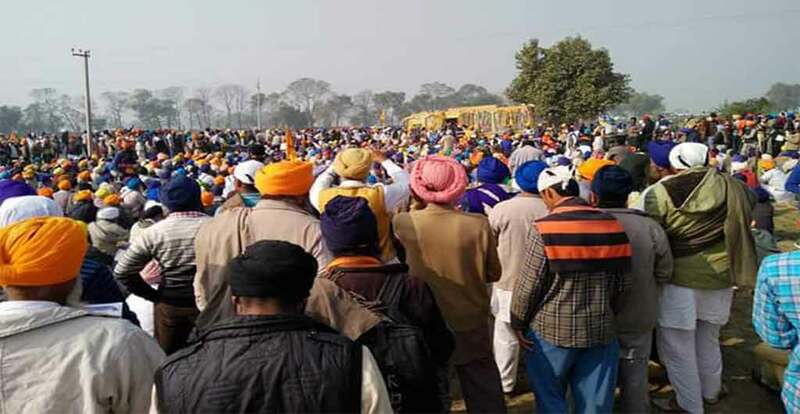 The Punjab government initiated a major police crackdown on the leaders of Shiromani Akali Dal Amritsar (Mann) and United Akali Dal (UAD) in bid to foil their gathering near Talwandi Sabo under the nomenclature of ‘Sarbat Khalsa’. Heavy police deployment and restrains prevented people from reaching the venue of the gathering to a large extend. However, as per information, people in small groups were able to reach the venue during wee hours ,whereas others who tired to reach the venue after day rise were prevented from reaching the spot and many of them, including leaders of Shiromani Akali Dal Amritsar (Mann) were arrested by the police. SAD (Mann) leader Prof. M. P. Singh told Sikh Siyasat News (SSN) over phone that acting Jathedars – Bhai Dhian Singh Mand, Bhai Amrik Singh Ajnala and Bhai Baljeet Singh Daduwal along with S. Simranjit Singh Mann and others were arrested by the Punjab police when they tried to enter into the Punjab from Haryana this morning. “We were arrested by the police when we entered into Punjab from a village near Talwandi Sabo. We are not released yet and I am speaking to you from the police custody. We are in a police bus and they are taking us to some undisclosed place”, said M. P. Singh.